The bride and her dress set the tone for the wedding. Hopefully you’ve found the right dress and have had your bridal moment the first time you saw yourself in it. Now that the gown is taken care, have you decided how to do your hair for the big day? 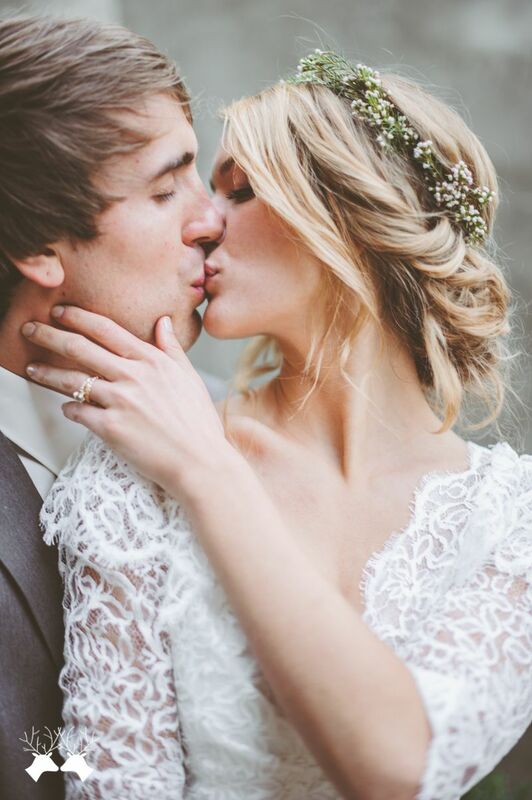 Here are some wedding hair trends we’ve been noticing lately. They can each be adjusted to fit with your gown and the style of your wedding. Take a look! … or holding pieces together down your shoulder and back. So versatile and it really adds a unique feature to each hair style. Next up, the knot bun. This hairstyle can be simple and understated, but always chic. Whether its high or low, sleek or messy, the knot bun is an elegant hairstyle and a flawless choice for your wedding day. It also pairs well with a any type of veil. Lastly, we have the bohemian-style flower crowns. Flower crowns can be as elaborate or as simple as you like, but either way they add a soft, feminine, and fun element to your look. I am loving the way brides are incoroporating this look with their other floral arrangements. Aren’t they fun? !